This hotel enjoys a great location at the heart of Fayetteville. The hotel is situated within easy access of a number of the area's main points of interest, as well as shopping opportunities, dining options and entertainment venues. 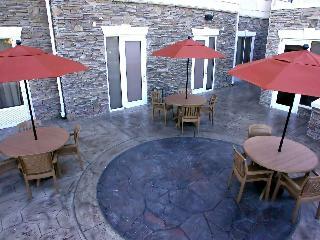 The hotel is situated in close proximity to the Cross Creek shopping centre, Fort Bragg and Crown Centre. This charming hotel greets guests with elegance and style, welcoming them into the homely surroundings of the lobby. The guest rooms are tastefully appointed, and come complete with modern amenities. The hotel offers a range of facilities, catering to the needs of business and leisure travellers to a high degree of excellence. 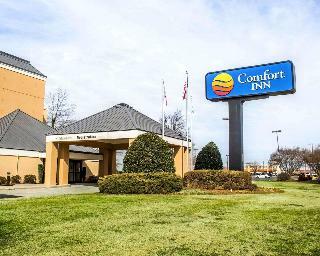 This attractive hotel is centrally located in Fayetteville. The hotel is situated close to Randal Tyson Track Centre, Razorback Stadium, the University of Arkansas Fayetteville, Baum Stadium, and Bud Walton Arena. The hotel offers the ideal option for business and leisure travellers visiting the area. The hotel features a bright exterior, revelling in a homely, inviting ambience. The guest rooms are superbly appointed, featuring earthy tones and modern amenities. Guests can enjoy the many leisure facilities that the hotel has to offer, for a truly enjoyable stay. The hotel offers services to meet the needs of every type of traveller. Situated in Fayetteville, North Carolina, this hotel enjoys an enviable setting, close to many historic sites. Guests can be amazed by the beauty at the Fayetteville Museum of Art, explore the grounds of the Fayetteville State University or attend an event at the Cape Fear Regional Theatre. With the Cross Creek Mall and a host of dining and entertainment venues in the area, guests will find a wealth of opportunities for relaxation, or adventure. The elegantly-appointed guest rooms are decorated using vibrant gold tones, contrasted with emerald greens. Modern furnishings, delicate fabrics and high-quality conveniences allow for guests to fully relax and unwind in the spacious surroundings of the bedrooms. Business travellers will appreciate the spacious work areas on offer in the hotel. Whether travelling for business or for pleasure, guests at this hotel are sure to enjoy their stay. Enjoying a central location, this hotel places guests at the centre of activity, yet maintains a peaceful, relaxation-inducing setting. Within a short distance, guests can explore the Fayetteville Museum of Art, Cypress Lakes Golf Course, Fayetteville State University and the Crown Centre coliseum and expo centre. After a busy day of sight-seeing, guests can relax and unwind amidst the elegantly appointed guest rooms, where tranquillity and comfort are exuded. Guests are invited to surrender to an aura of peace, and enjoy restful slumber in the soothing tones of the lavish fabrics. Ideal for business and leisure travellers alike, guests at this hotel will find their stay rewarding and refreshing. The Hilton Garden Inn Fayetteville/Ft Bragg hotel is located within just a few minutes of Historic Downtown and in the heart of the shopping, business and dining choices of Fayetteville. Within 2 miles or less from Ft. Bragg, Cross Creek Mall, over 100 area restaurants and soon the new FORSCOM Complex and Military Business Park, our Fayetteville, NC hotel puts you in the center of the area's top activities. The Crown Center Coliseum & Expo Center, offering numerous sports venues and meetings, is just 10 minutes away. All this makes the Hilton Garden Inn Fort Bragg hotel in Fayetteville the perfect location for your stay.The Hilton Garden Inn Fort Bragg/Fayetteville, North Carolina hotel features include:* Great American GrillÂ® (serving breakfast only)* Evening room service* 24 hour Pavilion PantryÂ® convenience mart* Pavilion Lounge* Complimentary self-parking* Complimentary 24-hour business center* Indoor heated pool and whirlpool spa* Complimentary workout facility* Guest laundry* Two state-of-the-art meeting rooms and an executive board roomThe Hilton Garden Inn Fort Bragg hotel in Fayetteville, NC has 104 comfortable guest rooms which feature:* Complimentary high-speed Internet access* Complimentary secure printing to the 24-hour business center* Oversized work desk, ergonomic chair and desk level outlets* Two dual line speakerphones with voicemail* Refrigerator, microwave and coffee maker* Iron, ironing board and hairdryer* USA TodayÂ® each weekday morningThe Hilton Garden Inn in Fayetteville, North Carolina is located in the area of Cross Creek Mall/Fort Bragg: * 5 miles from Downtown Fayetteville, North Carolina* 2 miles from Fort Bragg / Pope Air Force Base* Accessible to 401, Business 301/95 and North Carolina Interstate I-95* Accessible to the following companies: Sprint, Wal-Mart Distribution Center, Black & Decker, Cingular Wireless, Eaton Corporation, DuPont, Maidenform Inc.